Please note that the content of this book primarily consists of articles available from Wikipedia or other free sources online. 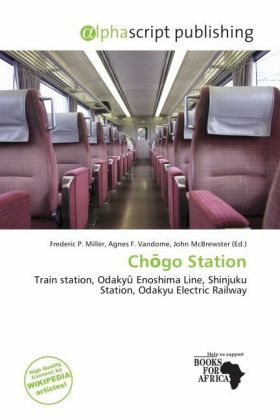 Ch go Station is a train station on the Odakyu Enoshima Line in the city of Fujisawa, Kanagawa, Japan. It is 46.3 rail kilometers from the terminus of the Odakyu Railway at Shinjuku Station in Tokyo. Ch go Station was opened on April 1, 1929 as the Shin-Ch go Station. The station received its present name on April 1, 1958. Ch go Station has two island platforms serving four tracks, which are connected to the station building by an overpass.